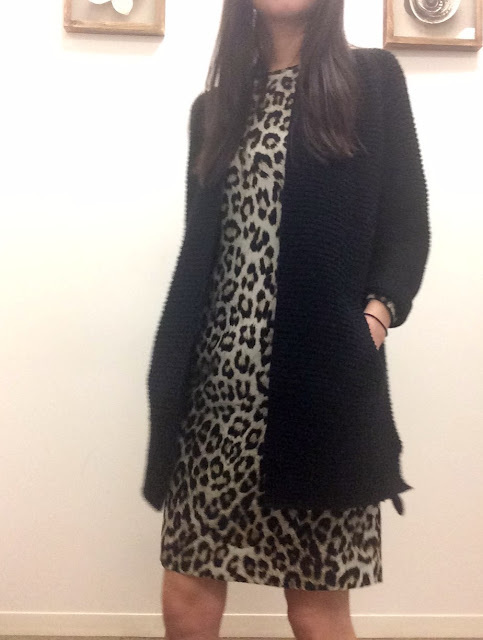 When I bought this dress, I sat down and thought about it long and hard, and realized I have never owned an animal-print piece of clothing before. 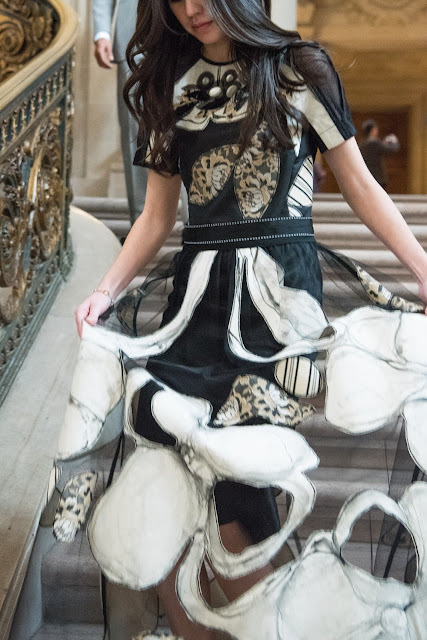 Not a blouse, not a dress, not a glove, not so much as a scarf. 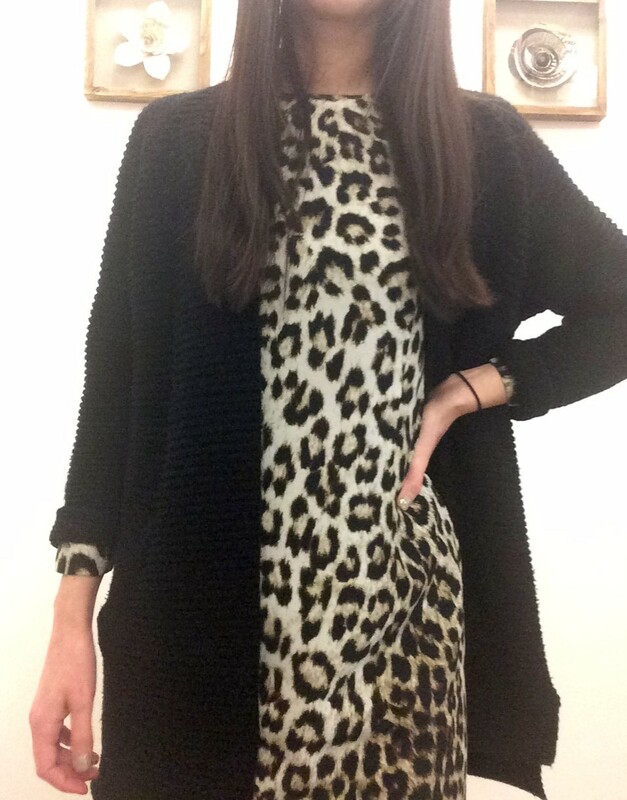 No animal print. 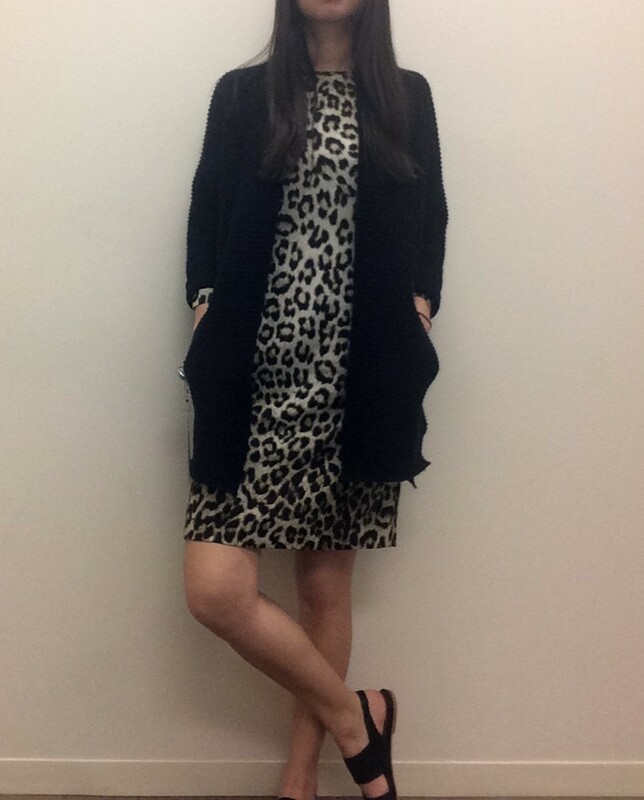 The style, with long sleeves, is pretty conservative, but I don't see much animal print at the office so I paired this dress with a long black cardigan in order to make the all-over print seem less loud. My favorite piece of jewelry - a hair tie!